Who Decides Who You Are and Who You Love? Join the Stand Up, Speak Out Theatre Project in challenging bullying, homophobia, transphobia and gender identity politics On Stage as we explore the climb towards self-definition, and common struggles faced by LGBTQ+ youth. The Stand Up, Speak Out Theatre Project engaged LGBTQ+ & Allied youth in the co-creation and performance of an original and interactive forum theatre play as a tool towards social change. Who Decides? seeks to inform and inspire youth audiences to rehearse Standing Up & Speaking OUT. Check out the video footage of Who Decides? And the Stand Up, Speak Out Theatre Project Here. 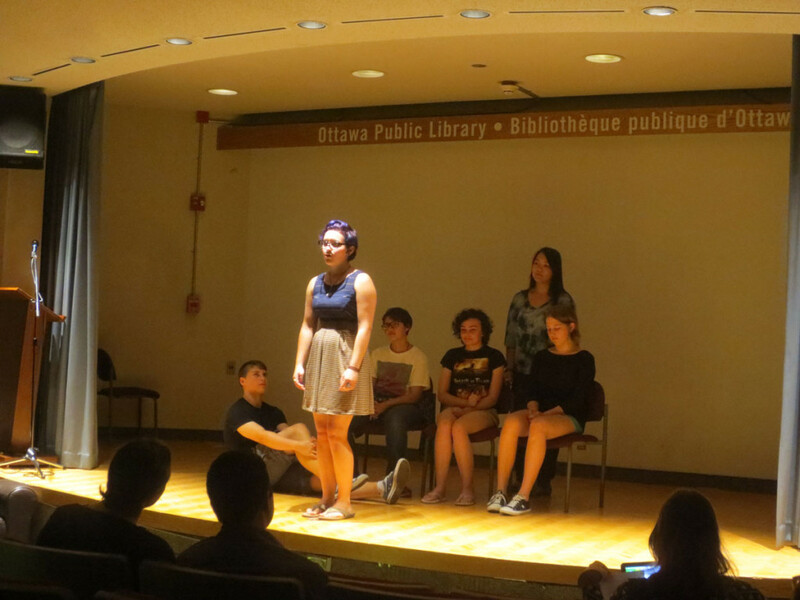 Check out our photos from the Stand Up, Speak Out Theatre Project Here. *This project is a partnership between the Canadian Centre for Gender & Sexual Diversity and Branch Out Theatre, funded by Ontario Arts Council and Community Foundation of Ottawa.